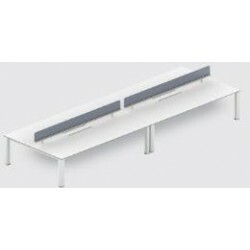 Desking There are 7 products. The MILLENNIUM series allows you to create various layouts with simple and gorgeous curve lines, as well as a urethane worksurface. Stylish legs with excellent functions can be also presented in various colors. With a built-in cable cap on the worksurface, wiring becomes easy and neat.